Simon Heale Sports and Remedial Massage, Mindfulness, Hypnotherapy, Reiki, Cranio-Sacral Therapy with Simon Heale at Chelsea Natural Health Clinic, Fulham Rd, SW10. Since swapping the world of acting for a treatment room in the 1990s, Simon has qualified as a Remedial and Sports Therapist, Hypnotherapist, Sports Hypnotherapist, Cranio-Sacral Therapist, Reiki Master and more recently a Mindfulness Coach and teacher. His core practices involve Releasing Pressure ,Promoting Slow-Health and Encouraging Adventure. He believes and adheres to the principle that where there is an injury, trauma or discomfort, there will be a level of dis-abling pressure present. This may be in the form of external pressures: training schedules, work pressures, money issues as well as physical or biological pressures. There are also the internal pressures: our self-talk, should, oughts and musts that lead to anxiety and stress, which influences how we treat ourselves, how we train, eat, drink and respond to experiences. 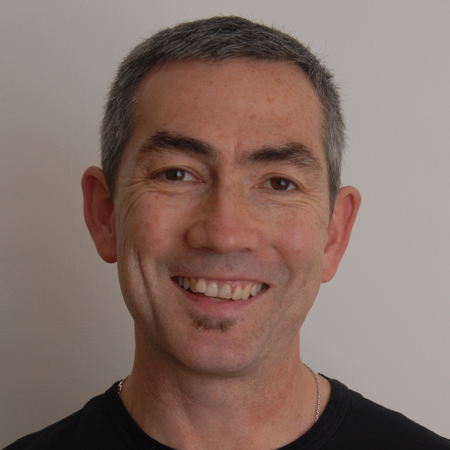 Simon is now in his 20th year as a Sports and Remedial therapist and has treated thousands of people and although his forte is sports injuries, specifically running and cycling, as a deep tissue expert and Pilates fan, he is able to help with stress, postural, work-related issues and conditions. Modalities such as Acupuncture, dry needling, K Taping, rolling complement his hands on work and experience. Simon is an experienced marathon and ultra-marathon runner, so training tips, diet and nutrition, Pilates exercises, sports psychology mindfulness and motivation, have become a core of his treatment approach. He recently completed his second and back-to-back Comrades ultra-marathon in South Africa, and is currently training for another ultra. Simon has been practicing and teaching Mindfulness Meditation for several years, using the Jon Kabat-Zinn Mindfulness Based Stress Reduction programme. Mindfulness and meditation can: lower blood-pressure, reduce stress, increase productivity and creativity, improve health and well-being, bring a meaning and fulfillment to life, improve relationships, solve conflicts, create clarity. Ultimately, Mindfulness is simply awareness. When we cultivate greater awareness in our lives we develop greater choice. He runs his Mindfulness trainings throughout the year in both North London and Chelsea, as well as offering regular talks for businesses and corporations including most recently PwC. Finally, his passion is helping others and himself to get re-aligned with our values, with what matters to us, when this happens we will know what we need to do and why we need to do it. This is the Adventure bit. He is registered with the National Register of Hypnotherapists and Psychotherapists, and is a member of the London and Counties Society of Physiologists. 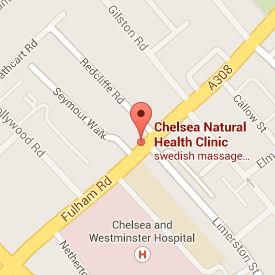 He is co-director of Chelsea Natural Health Clinic and Corehealth Pilates Studio. When I first I met Simon (via a recommendation from a marathon running friend) I was unable to run following a 75km run in the depths of winter. Despite XRays, an MRi scan, and visits to both a physiotherapist and an osteopath, nobody could locate the source of my problem. Within 1 session Simon had confidently identified my issue and more importantly had said “I will get you to the start line of your next race” (at this point I was about 12 weeks away from my first 100km). True to his word, I turned up on race day feeling fit and confident and got through it with no issues at all. Simon is fantastic because he is a runner himself. He understands the physical issues, but just as importantly, the mental aspect to running, both of which need to be managed together. He is always an immensely reassuring presence and I now unhesitatingly recommend him to anyone I meet with problems. In addition to ‘magic hands’ he has shown me a range of stretches that have materially improved my flexibility, as well as introducing me to the benefits of kinesiology tape. Would I be running today without Simon ? I doubt it. Simon has been looking after my back for about 8 yrs now, after trying all different types of treatments and people he is the only one who keeps me upright!! The man should never be allowed to take a holiday. Simon Heale has the rare ability to bring his deep knowledge of the human body with the strength and energy of a competitive and gifted runner to offer a unique massage, which reinvigorates, heals tired or aching muscles and leaves one feeling a new person. I have been one of Simon’s therapeutic massage clients for nearly a year and he excels at pinpointing and treating the areas that require attention. Being an arthritis sufferer following accidental injury he soothes the pain with his deep tissue massage so that the need for pain killers is eliminated. He’s also a great listener and perks you up with positive encouragement. I highly recommend him and rely on his fortnightly maintenance treatment to minimize, otherwise very nasty symptoms. ‘In the area of bodywork, Simon is absolutely outstanding. In addition, his background as an actor, and his work in the personal development and leadership fields combine to give him a highly distinctive set of skills and many areas of contribution in relation to people’s well-being. I had back surgery 10 years ago (a mistake) and currently work long days in the City, frequently flying and rarely looking after myself properly. My back frequently flares up and I have seen 100s of physios, osteos, chiropractors, surgeons, etc. over the years to find a solution / help manage my back. Nobody from any of these disciplines matches Simon’s extra sensory understanding of the back, body and mind. I would recommend him to anyone and frequently do to friends, colleagues and clients. I work in an incredibly demanding industry which makes me pretty fussy, for those who also seek out extremely high quality service, I happily recommend Mr Simon Heale.